Mr. Boswell, President and CEO of the Western New York Public Broadcasting Association (WNED-TV/AM/FM), is a public broadcasting veteran of nearly 42 years, having held positions with North Texas Public Broadcasting Inc. in Dallas, KCTS in Seattle, and WVIA-TV/FM in Pittston, Pennsylvania prior to joining WNED in January of 1998. The Pittsburgh native is the recipient of numerous PBS professional awards and five national program Emmy awards. He continues his long history of community service on the boards of, Albright-Knox Art Gallery, Hongkong and Shanghai Banking Corporation (HSBC), AAA, Greater Buffalo Convention and Visitors Bureau, University at Buffalo Foundation, HealthNow NY, Inc., National Conference for Community and Justice, the P2 Collaborative, New Era Cap Company and the Market Arcade Film and Arts Centre. In Canada, Mr. Boswell serves on the Board of the Red Sky Theatre and on the International Advisory Board of the Art Gallery of Ontario in Toronto. Married and the father of one daughter, Mr. Boswell holds bachelor and masters degrees from Pennsylvania State University and a Management Development Certificate from the Wharton School of The University of Pennsylvania. He is a philatelist, golfer, and photographer. 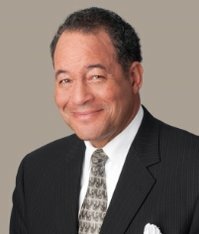 Mr. Boswell is Chair the PBS Nominating & Corporate Governance Committee and serves on the PBS Executive, Finance, and Diversity Advisory committees and the Investment Subcommittee. He previously chaired the Diversity Advisory Committee. He also serves on the PBS Foundation Board and Foundation Endowment Fund Committee.